Based on the individual's unique condition and body constitution, our physician may prescribe customized Chinese herbal medication. This medication consists of several herbs combined together to enhance the herbs' effectiveness and minimizes possible side effects. Acupuncture slimming and Chinese herbal medication work in tandem to help individuals achieve the desired weight loss and prevent weight rebound. 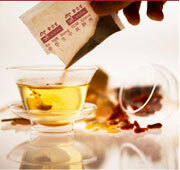 To enquire on our TCM Weight Management services, please call 1800 2251887.